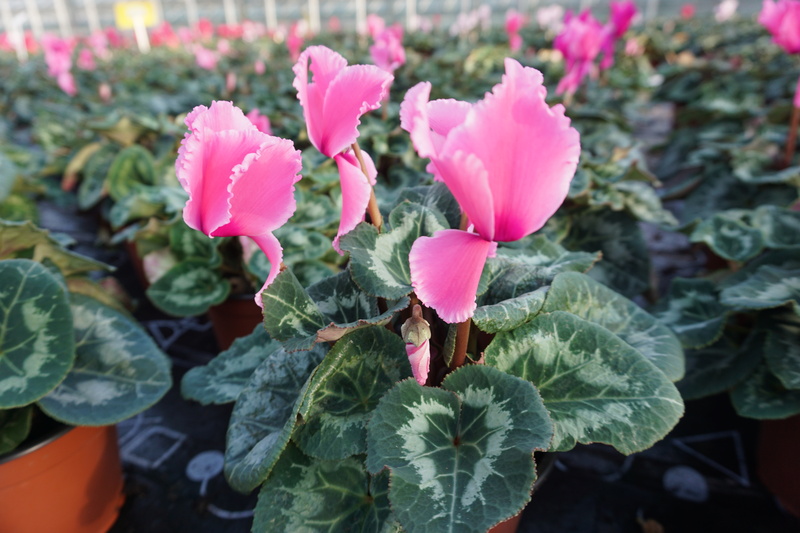 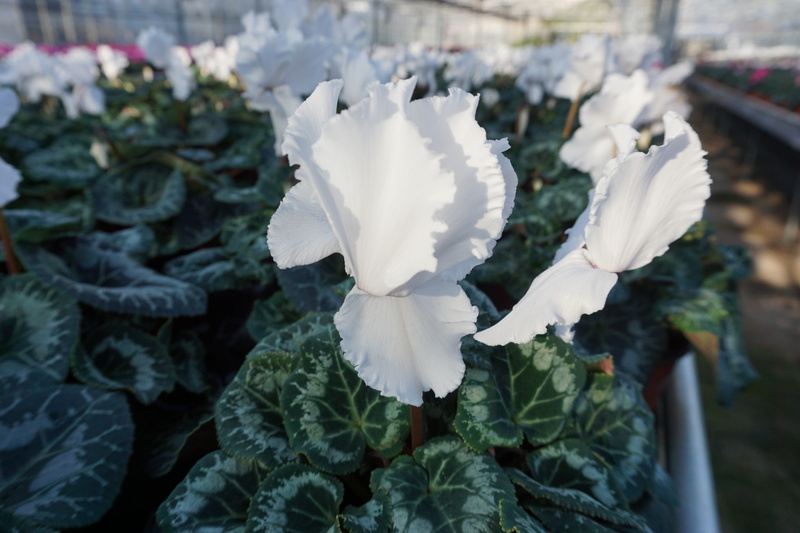 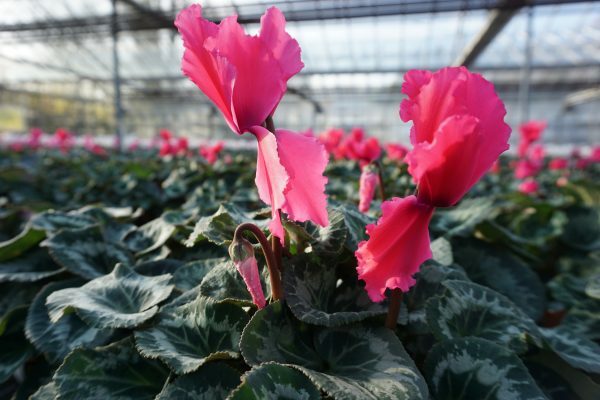 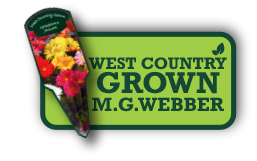 13CM FRILLY CYCLAMEN | MG Webber West Country Grown Ltd.
Beautiful frilly flowers are produced over rounded, marble coloured leaves. 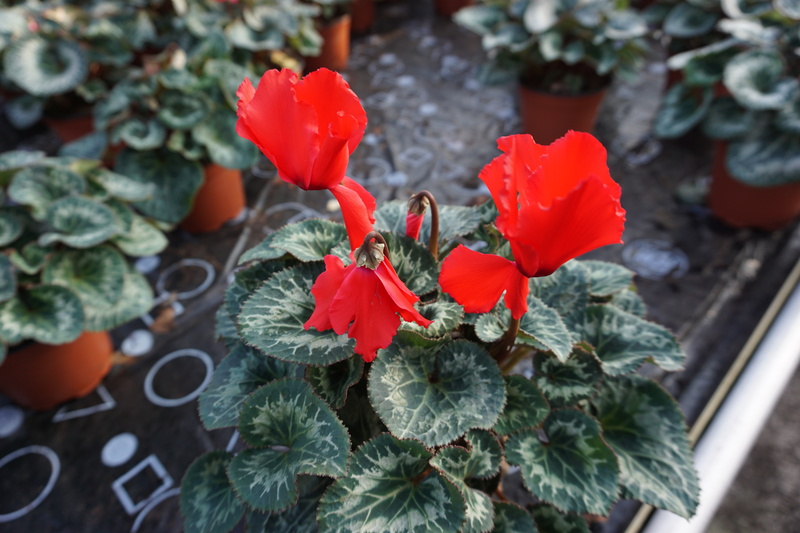 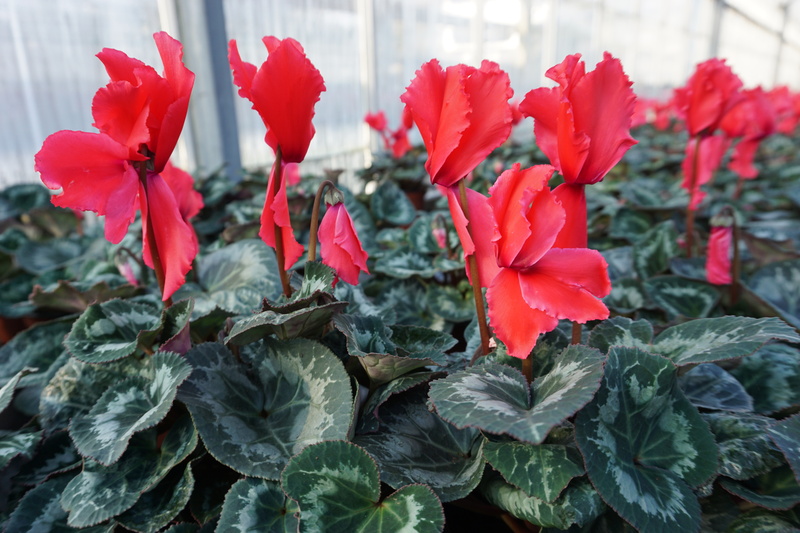 This variety is a later flowering cyclamen, so even after all the festive cheer, there will still be some colour. Cyclamen produce vast amounts of flower and buds, which create an large splash of colour- use to brighten up dull areas.